When most people are asked where they stand financially with respect to retirement and their goals, they typically have the same answer: "I don't know." This is one of the most integral components of planning for your future and your legacy. 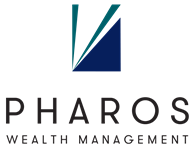 That is why Pharos Wealth Management will complete a financial plan. We want to help you understand where you are, where you're going, and what you need to do to get there. The financial roadmap creation takes shape over the course of a series of meetings that are often educational and enlightening. We start by collecting the information that most influences your financial life. In this process we aggregate all of the data that is pertinent to you and we apply it to the context of a financial plan. Through completion of this process you will have a better understanding for your current state of affairs, and based on a few assumptions, where you're likely to be in the near and distant future. You'll have a road map to follow; a plan to pursue. Our goal is to help you confidently approach the coming years with reasonable expectations and direction. Creating a financial roadmap could possibly be a life changing experience.